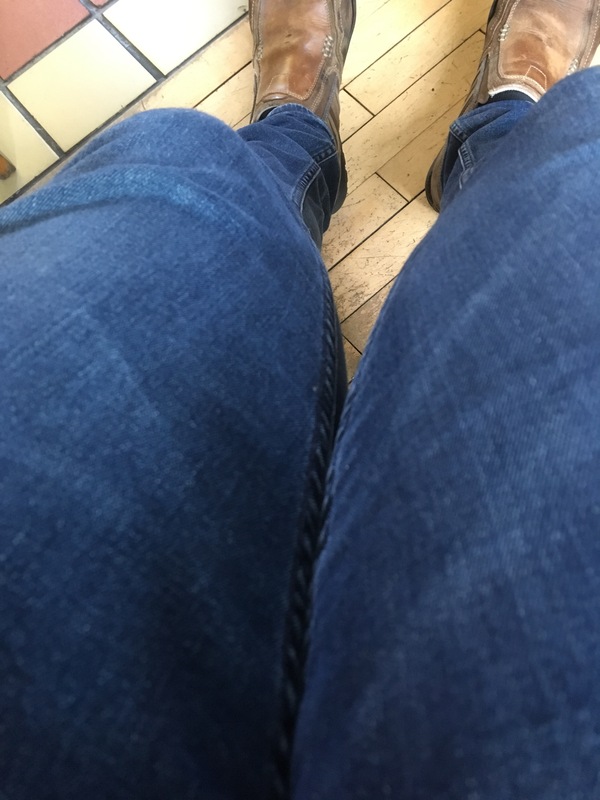 The one about the jeans | What's a daddy for? You find a pair of jeans at the back of the wardrobe which you haven’t worn in ages. You think ‘these are nice, wonder why I stopped wearing them?’. You put them on and they are very comfy. You wear them out and about all day, to mini gymnastics, to nursery, to the cafe, to rugby tots. You get lots of looks. You assume people are admiring your jeans. You get home. You take jeans off. You realise there is a great big hole in the arse of them.